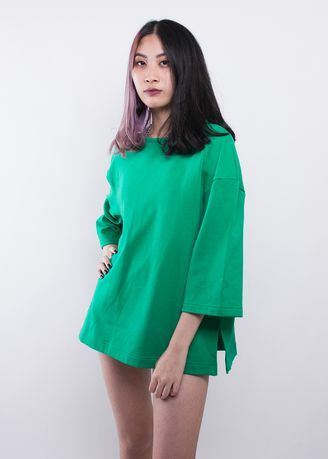 - Drop shoulder oversize drape top. Non-ribbed collar. Side slit details. Tonal stitching.